by Thom Rainer, LifeWay, 3/6/19. the study looked at two other supplemental categories. A Level 4 (reproducing) church places a high value and priority on starting new churches. A level 5 (multiplying) church takes church planting to multiple generations of congregations. subtracting/declining or plateauing. Only 30% are adding/growing based on Exponential’s categorization of churches which is defined above. This data is largely consistent with other research we have done. The period covered is three years. There are relatively few reproducing churches. The research categorized only 7% of the churches as reproducing (Level 4). The numbers of churches considered multiplying (Level 5: multiple generations of church plants) was 0% in the sample, indicating a negligible number in the total U. S. church population. The majority of Protestant churches had less than 10 people commit to Jesus Christ as Savior in the past 12 months. That’s fewer than one person per month. That’s not good. That’s not good at all. Smaller churches are at severe risk.Among those churches with an average worship attendance under 50, only 20% are growing. That is the lowest of any of the categories of churches and is an indicator that these churches are at the greatest risk of dying. Larger churches have a much lower risk of dying. Among the churches with an average worship attendance of 250 and more, 42% are growing. That is, by far, the largest number of growing churches in any category. MULTIPLICATION & Not 1 homogeneous unit but rather a heterogeneous organization w/ many indigenous cultural channels to communicate the Good News & through which to celebrate it. Biblically speaking, it thus seems best to see a worship gathering as a time of indigenous artistic expressions that draw people from an indigenous background into connection with God. This would suggest the more worship services we can offer, the more opportunities we can offer for people to connect with God. I found that all church organizations, regardless of size, grow the quickest by multiplying their sub-congregations. So in other words, they see themselves not as one homogeneous unit but rather as a heterogeneous organization with many indigenous cultural channels to communicate the Good News and through which to celebrate it. For example, a multiple sub-congregational model blooms when even a small church adds a youth program. The youth program has its own leader, it’s own style, its own music and its own outreach. It is a sub-congregation, of a different culture. Then, as the church grows over 100 attendees it can often begin to reach out to a different culture by offering a different service with a slightly modified culturally aesthetic. Of course working against this is the concept that people want to be united. And when they say that, they usually mean they want to be united in the worship gathering. However the Hebrew word for worship means to come close to God as if to kiss His feet. It doesn’t mean fellowship. So biblically speaking, it seems best to see a worship gathering as a time of indigenous artistic expressions that draw people from an indigenous background into connection with God. This would suggest the more worship services we can offer, the more opportunities we can offer for people to connect with God. If we want to call them “fellowship services” instead of worship services, then we could see unity as an objective. But it’s hard to create unity in a sanctuary. So therefore, I see “sub-congregation multiplication” as a key to respecting indigenous art forms and to connecting the Good News via the most appropriate communication modality for the people we are reaching. 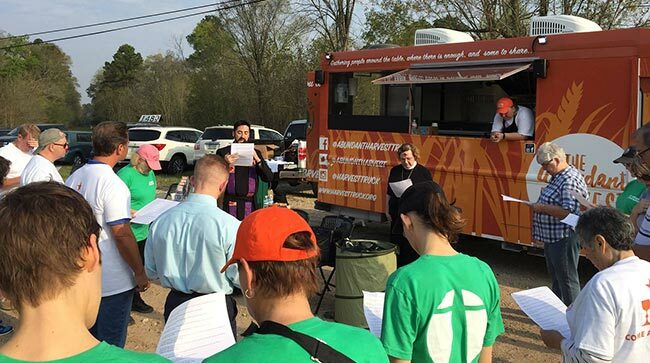 …Mraz went to Taco Church, where a small group of men gathered for breakfast, Bible study, jokes and prayer. The group, started by an Episcopal priest and a few guys from his gym, shared vulnerability in a way that Mraz had rarely seen. Sometimes he had to step outside the fast-food restaurant to cry.